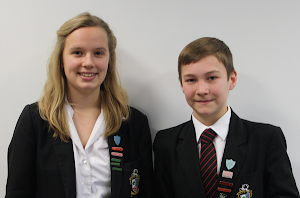 Millie and Sam Young Ambassadors 2013: Wanted: young campaigners to go on a fact-finding trip to Uganda! Wanted: young campaigners to go on a fact-finding trip to Uganda! A national competition to find the Young Global Education Ambassadors for 2014 is now open to schoolchildren in the UK. The winners will have the opportunity to visit Uganda in early 2014 with the charity Sightsavers and the Global Campaign for Education. They are looking for two bright, articulate and passionate and 14/15 year olds (Year 10 pupils) to apply through their school for the Steve Sinnott Award. This competition will give the winners, and their teacher, an amazing trip to Uganda to investigate the barriers to education, particularly for children with disabilities. This competition is open to all secondary schools and applications where one or both of the candidates has a special educational need or disability are encouraged.